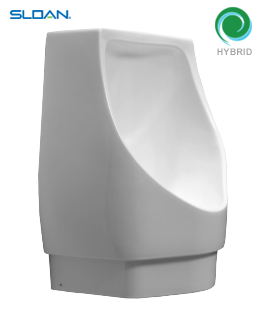 The all-new, wall-hung Sloan HYB-1000 Hybrid WaterFree Urinal with wall outlet comes with revolutionary Jetrinse Solution Technology, allowing for even further convenience, cleanliness and automation in your restrooms! 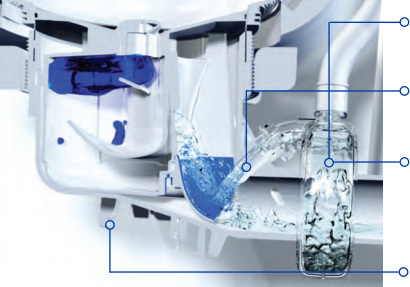 Automatically injects one gallon of water through housing and drain line every 72 hours to prevent clogs and struvite build-up. For lip height of 17", distance from finished floor to drain centerline must be 9-3/4"